The trouble at the Aljunied- Hougang-Punggol East Town Council (AHPETC) is the epitome of a "lose-lose" political crisis. By now, most voters wouldn't be able to tell you the specifics of the long-running saga - only that neither side comes off well. In a way, the findings of serious lapses in compliance and governance at the Workers' Party-run town council have had an alcoholic effect on both the WP and the People's Action Party (PAP) Government, enhancing their least likeable characteristics and bringing them to fore. The first, which includes incidents like keeping cheques behind the counter instead of in a safe, I would characterise as minor mistakes borne of inexperience, and perhaps unavoidable in an organisation asked to scale up by a factor of five overnight. The second, which includes poor management of service and conservancy charges arrears and being late with transfers to the sinking fund - a town council's savings account - I would consider more serious, not least because transfers to the sinking fund are required by law. But they are lapses which are forgivable to my mind, as long as they are rectified quickly and not repeated. It is the third and last category of lapses that, in the grand scheme of things, matters. Here, the role of FM Services & Solutions (FMSS), AHPETC's managing agent, is central. Shortly after their historic victory in Aljunied GRC in 2011, the WP terminated the services of the managing agent its PAP predecessors had hired, CPG Facilities Management. CPG wanted out, so the WP agreed and FMSS took its place. It is true that CPG's contract still had two more years to go, and the WP leadership could have forced it to fulfil those two years. But anyone who has ever worked with someone who doesn't want to work with you knows that isn't an ideal arrangement if you want to get anything done. Which makes the WP's acquiescence to termination understandable. What's fishy is the whiff of cronyism and opportunism around FMSS. It was created seven days after the election, and majority-owned by a married couple who were long-time supporters of the WP - and senior staffers of AHPETC. Cronyism and opportunism are not illegal, even if they are widely frowned upon, but the issue at stake here is whether or not FMSS made use of its monopoly of WP business to overcharge the residents of AHPETC. It is here that the line between questionable governance and criminality lies. $1.6 million more a year than what other managing agents charge PAP town councils, and that the party wilfully - or intentionally - turned a blind eye to this. In the unforgettable words of Law Minister K. Shanmugam during a tense parliamentary debate on the issue in February: "The WP took money from the man in the street to give to their friends in FMSS." First, the $1.6 million figure can be calculated only if you compare rates last year - a year that, for some reason, the rates charged to some PAP town councils fell by as much as 50 per cent. Back in 2012, when FMSS was first hired, its rates were closer to what PAP town councils in Pasir Ris-Punggol and Moulmein- Kallang were paying. Second, despite the WP holding two open tenders over four years, FMSS was the only company which bid for its business. Whatever the reason behind this - and WP chief Low Thia Khiang says that it's political - other managing agents want nothing to do with the opposition party. If one were, say, dying of thirst, and the only person willing to sell you a bottle of water charged $20, could you be accused of overpaying? In a free market, prices are set by the intersection of demand and supply, after all. 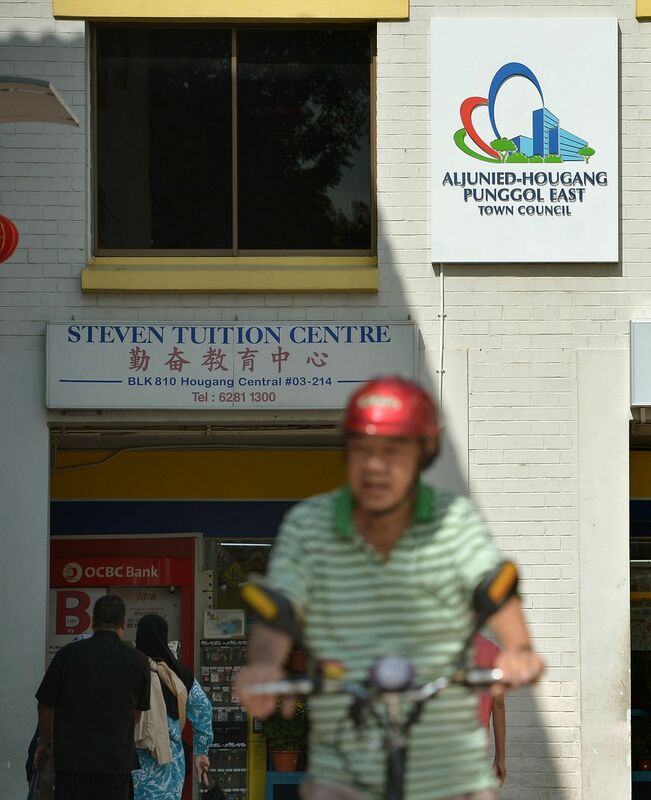 Still, the unruly web of personal ties at AHPETC should give residents pause. And it is an undeniable fact that since they voted the WP into power, Aljunied and Punggol East voters have got, dollar for dollar, the worst value for town management services in Singapore. In 2012, AHPETC paid $7.87 to its managing agent per residential unit; the most a PAP town council paid was $7.80 in Potong Pasir. The average rate that residents elsewhere paid was $6. By last year, AHPETC was paying $7.43 while the highest-paying among the PAP town councils was Tanjong Pagar, at $6.65. The one question that matters is yet unanswered, or perhaps, unanswerable: Is this bad value due to corruption? This continues to hang in the air while the Ministry of National Development (MND) and AHPETC fight in court over $14 million in grants that MND is withholding from the town council until it cleans up its act. MND wanted the High Court to appoint forensic accountants to oversee AHPETC's use of the grants and, crucially, to give them the power to scrutinise AHPETC's past payments. The intention here was obvious: to get the independent accountants to answer that dangling question of whether corrupt behaviour, criminality or fraud was involved in the supposed overcharging. MND is appealing against the court's decision. Why? The PAP Government, it would seem, is anxious not to be seen to be too bullying of the WP, which, despite having won a group representation constituency, is still given the universal discount in standards that underdogs enjoy. The party appears to want to hold the moral high ground, and be seen to be acting out of a need to uphold principles of integrity and good governance. If the MND were to force independent accountants on AHPETC - as opposed to the court appointing them to AHPETC - it would look like a political act, goes the PAP thinking. So would sending in corruption investigators to scour through the town council's books. But the flaw in this reasoning is that what has transpired thus far already comes off to many observers as such - with no apparent smoking gun to justify it. Perhaps the Corrupt Practices Investigation Bureau would not find that smoking gun, or perhaps the case it builds may not hold up in a court. But as long as a criminal investigation of some sort is not happening, everything that has transpired will be - and has been - viewed by many observers as political theatre. A confusing, complicated piece of political theatre revolving around accountants and financial records has little chance of holding Joe Ordinary's interest for long. All this time spent on what voters conclude is politicking could be the worst-case scenario for the PAP in what may well be an election year. As for the WP, what's clear from the entire fiasco is that they're barely managing to run one town as it is. It would be a foolhardy electorate that gives it another one.